Clinical trials are bringing a precision medicine approach to this deadly leukemia. 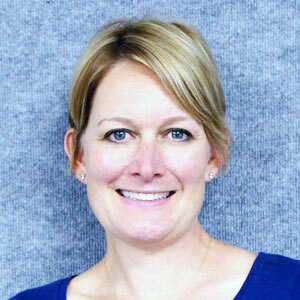 AMY BURD, VICE PRESIDENT OF RESEARCH STRATEGY AT THE LEUKEMIA & LYMPHOMA SOCIETY (LLS), IS LEADING A CLINICAL TRIAL THAT IS BRINGING A MORE PERSONALIZED APPROACH TO AML TREATMENT. There has been limited advancement in the treatment of acute myeloid leukemia over the past 40 years, with most patients undergoing intensive, toxic chemotherapy. 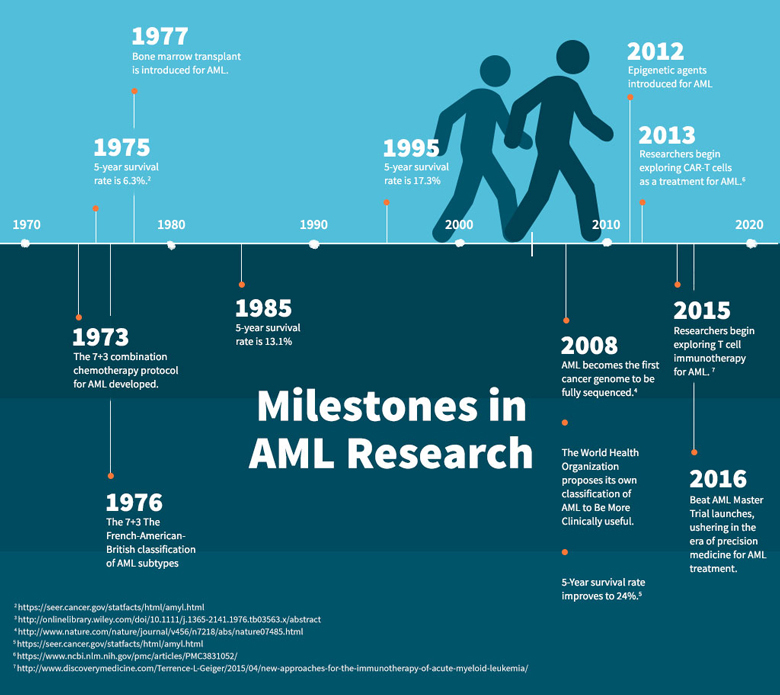 Today, AML remains a deadly blood cancer, taking the lives of more than 10,000 patients each year, and less than 30 percent of patients live five years or longer after being diagnosed. As the blood cancer community recognizes April 21 as the second annual AML Awareness Day, an innovative approach to clinical trials holds promise to overcome the research stagnation and explore tailored alternatives tailored for individual patients. One reason treatment remains challenging is that AML is not a single disease but a complex group of more than 10 different subtypes, some of which are more aggressive than others. And not all types respond to treatment equally. In 2008, researchers sequenced the genome of AML tumor cells, improving the understanding of how the disease develops and, potentially, treatments it might respond to. With this knowledge in hand, scientists have developed targeted therapies that open up the possibility to tailor treatments for individual patients. Last October, the LLS launched a unique clinical trial initiative called the Beat AML Master Trial, which matches patients with an investigational drug or drug combination potentially best suited to attack the specific mutations causing their cancer. Their goal is to create nothing short of a paradigm shift in how AML is treated, moving away from the current one-size-fits-all approach. We’re trying to put all these pieces together in a way that is focused on what is best for each patient. This is a new approach for clinical trials. Since the launch, they’ve already exceeded the targeted preliminary enrollment of 25 patients and provided those patients with personalized treatment plans. Enthusiasm among investigators and patients has been high, according to Burd.